Riot over relief goods by hungry folks from Compostela Valley and Davao area erupts due to slow delivery by DSWD. Sabi ni Dinky kailan pa raw pumila at magpalista ang mga gutom, at binigyan pa ng deadline na March 19. P-Noy sounds too arrogant and over-bearing about Sultan’s posture on Sabah. To Fr. Eliseo Mercado he’s too pro-Malaysian. Last Christmas Season the St. Michael the Archangel Parish in Fort Bonifacio conducted a fund-raising project by selling Christmas balls at P50 and P100 a piece, which the buyers would attach to a big wire Christmas tree inside the church. Originally the objective of the fund-raising was to help soldiers’ families, but when typhoon Pablo severely devastated Compostela Valley, the parish deemed its victims needier of help. The parish was able to raise close to P300, 000 and immediately after Christmas post chaplain Fr. Dionisio L. Acaso and two parishioners travelled to New Bataan in Compostela Valley, to hand over the donated funds to several groups and institutions there. On his return, the post chaplain gave his parishioners a public accounting of where the funds went. At the end of his talk he said something so meaningful: after seeing the terrible desperation and hunger of the people in New Bataan, he feared that if their needs were not addressed, violence and lawlessness could erupt there. Last Monday nangyari na nga ang kinatatakutan ng Fort Bonifacio post chaplain. An estimated 3,000 survivors of “Pablo” from Compostela Valley and the Davao areas stormed the regional office of the DSWD in Davao City and looted 52 sacks of rice, 593 boxes of noodles, 34 boxes of sardines and other relief goods store there. Afterwards the hungry looters camped outside to demand the release of the 10,000 sacks of rice DSWD Secretary Dinky Soliman had promised them during a roadblock confrontation in Montevista last Jan. 15. News accounts said the raid at the DSWD regional offices turned ugly as a scuffle ensued between citizens brandishing bamboo poles vs. truncheon-wielding police accompanied by heavily-armed SWAT teams that arrived at the scene. It quickly deteriorated into a riot. Reading about what happened at the DSWD regional office, I was instantly reminded of the riotings prior to the French Revolution, and Dinky Soliman’s callous indifference was also reminiscent of the unlamented French Queen’s insensitivity. Turning angry over the rioting and looting, Soliman demanded, “If (the people) are hungry, they must include their names on the list in our regional office, and we will go to their houses to deliver the relief items.” But she should realize that it has been months since Pablo struck, and government help has been too slow and too little to alleviate the people’s plight. Obviously now they’re too angry or too weakened to line up for the endless lista---there's a limit to what a suffering people can take. Right now the victims of typhoon Pablo need food and medicines, repair of their destroyed homes and other critical items for their families. They're asking where the P10 billion P-Noy had promised went or the P18 billion in international and local relief funds raised for the Pablo victims went. Interestingly, this same indifference characterizes the PCSO headed by another P-Noy favorite, Margie Juico. Lately the PCSO was denounced by COA for showering its employees with “excessive,” “irregular” and unauthorized allowances and perks worth P302.8 million. Juico’s retort to COA was that the funds were authorized by the board to pay for the employees “taxes” that the previous Aquino board had allegedly left unpaid, and “other benefits” such as supermarket groceries, etc. COA has disallowed benefits to PCSO employees drawn from PCSO's Charity Fund, as this fund is intended strictly for MEDICAL NEEDS of the public. In other words, it was once again the attitude of “kami muna, bago ang mahihirap.” PCSO insiders, however, attest that the lines of the poor begging for their medical needs have grown longer and longer in the P-Noy administration. This is not hard to understand, for the current board appears more concerned about fattening its members' and employees' pockets first (to keep them contented and less loquacious about anomalies there? ), than caring for the medical needs of the growing number of poor in this country. Frankly I'm one of the many people shocked by the arrogant tenor of President Aquino’s threat to Sultan of Sulu Jamalul Kiram III to apply the full force of the laws of the Philippine state against him, if he refuses to call off his followers’ stake-out in that small sea-side village in Sabah. Aquino warned that an investigation into possible violations of those laws by the Sultan and his followers and collaborators could ensue if they refuse to heed government’s order to get out of Sabah---seconded by Justice Secretary Leila de Lima. I can understand where P-Noy’s threat to apply the full force of the law may be coming from, in the case of the Sultan’s intransigence---as civilized nations settle disputes through negotiations and international courts. But what puzzles me as well as many other citizens is P-Noy’s terming the Sultan’s move to claim Sabah from the Malaysians a “hopeless cause” and a “mistaken belief” that “dictates your course of action” when P-Noy admitted, in the first place, that “This issue is complex” and needs further study. And as De Lima stresses, the government still does not have all the facts in and at this point it truly doesn’t know how to think about the Sultan’s sudden move to land his armed force in Sabah. But already P-Noy is calling it a "hopeless cause." Such pronouncement is bound to affect the standing of the Sultan's claim to Sabah, should the government raise it in an international court or at the UN. I agree with Fr. Mercado’s observation that P-Noy sounds too pro-Malaysia and terribly anti-Sultan in this episode. This doubtless is due to that fact that he is afraid that Malaysia would abandon or even torpedo the Framework Agreement with the Bangsamoro that it had brokered---if the Sabah stand-off worsens. Apparently P-Noy is now so enamored with making history with this landmark Agreement, whose details are now being ironed out by both sides, that he won’t brook any possibility that it could end up in the dustbin of history---all because a dialysis-undergoing, diabetic 74-year old ruler suddenly thought of reclaiming his clan’s right to a small territory 18 miles from Sulu but currently occupied by Malaysians. Napikon na si Comelec Chair Brillantes over AES/CenPeg’s failing grade in election preparation score card. Let’s support the Movement Against Dynasties’ campaign to raise 5.2 million signatures for an enabling law vs. political dynasties. Candidates should be confronted with tough issues affecting them, instead of restricting interviews to niceties such as the candidates’ love life or how he raises his family. The AES Watch, an umbrella coalition of about 40 organizations composed of IT practitioners, academics from various disciplines and other professionals monitoring preparations for the mid-term elections, and its companion organization, the Center for People Empowerment and Governance, last Monday held a forum at the Bahay Alumni at UP Diliman and presented its STAR (for System Traansparency, Accountability and Readiness) Card of Comelec and its planned Automated Election System. Not surprising, AES Watch and CenPeg gave Comelec a failing mark amid warning that the coming elections could be marred by serious flaws. Predictably too, napikon si Comelec Chief Brillantes and urged his critics to sue him. I suppose Brillantes is truly so irked already, but the IT professionals have every reason to be fearful of the coming elections as the poll body has failed to meet the issues, especially the very crucial ones, with candor and transparency. The IT people are just doing their job. A civil society group that calls itself the “Movement Against Dynasties” (MAD), with lead convenor and chair Quentin San Diego and co-convenor and co-chair Danilo Olivares, launched its campaign to gather signatures against political dynasties last Sunday at the National Shrine of Our Mother of Perpetual Help in Baclaran, with the full cooperation of Asst. Rector Don Murray. MAD plans to bring the campaign to various churches in the metropolis as well as in other population centers around the country. MAD, however, will not only depend on the Catholic Church which has more parishes than legislative districts, but also on various other faiths and sects---making it truly an inter-faith effort. MAD’s idea is to raise 5.2 million signatures, the minimum required by RA 6735, the People’s Initiative and Referendum Act, so that through people’s initiative it hopes to make the prohibition against dynasties mandatory in the Constitution---instead of depending on Congress to flesh out the constitutional prohibition vs. dynasties (Sec. 26, Art. II, “Declaration of Principles and State Policies”). According to Danny Olivares, Congress cannot be depended upon to pass that enabling law as it would hurt the legislators’ vested interest (more than 70 percent of members of Congress belong to dynastic families)---hence the need to rally the people to enact it themselves under people’s initiative. A similar campaign vs. dynasties was launched last week by the Bicol Autonomy Movement, which hopes to gather at least 1.5 million signatures by the end of April. As part of the information campaign on the evils of political dynasties, says Danny, on March 7, at 2 pm. at Discovery Suites in Ortigas Center, Pasig, three prestigious academic institutions will conduct a forum on the issue: professors from the Asian Institute of Management, on the link between dynasties and poverty; from the Ateneo de Manila, on dynasties and corruption, and the UP National College of Public Administration and Governance, on dynasties and political violence. More details about this forum later. I think most of our citizens realize the pernicious and stifling effects on the socio-political life of the country of the dominance of dynasties in virtually every province, as well as the political violence that erupts in many provinces and cities every election. So it behooves us all to help support the campaign against dynasties. I salute the civic- minded people that finally mustered the resolve to launch MAD, as well as organizations, faiths and academic institutions that support it. Calling especially on civic organizations such as the Rotary, Jaycees, Lions, Zonta, Soroptomists, etc. Independent senatorial candidate Teddy Casino has called not only for a tougher public discussion of the various candidates’ platforms and programs, but also for them to defend their respective stand about issues, especially the controversial ones. Casino vows to explain what’s generally perceived to be his “leftist” views. This is well and good and other candidates should follow suit and talk about tough issues involving them---or if they prefer to be evasive about those, media should confront them about these issues, and not merely confine radio/TV interviews to asinine matters such as their love life, hairdo, etc. We can follow the tough, no holds-barred interviews that US media conduct of the candidates. For instance, a newspaper has been writing reams about the controversy surrounding the Cagayan Special Economic Zone and Freeport (CSEZFP) , more popularly known as Port Irene in Cagayan, that was created through the sponsorship of Senate President Juan Ponce Enrile. In this connection, UNA candidate Jack Enrile should be asked point-blank over TV and radio what his family’s connection with this controversial port, is, and the truth about allegations that super-luxury used cars are being smuggling through that port by the hundreds---for resale around the country, contrary to the provisions of the law. The young Enrile has to be asked all the scathing questions on this issue and he has to answer them if he deserves the people’s votes. On the other hand, two weeks ago a columnist from the same newspaper wrote about what to him was the irony of Sen. Edgardo Angara’s chairing a global anti-corruption forum in Makati, when he himself is embroiled in the controversy over the Aurora Pacific Economic Zone and Freeport Authority (Apeco) that Angara authored (Senate Bill 2603in 2007 which became RA 10083 in 2009 ) in his native province of Aurora, whose costs have already climbed to P2 billion and is expected to exceed P3 billion. The columnist cited Sen. Serge Osmena’s charge that putting up such an expensive project in such a far-flung area has failed to draw a single foreign investor until now, and that it's only the Angaras who have profited from the project. 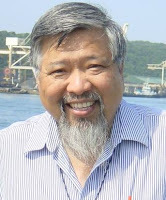 The columnist cited how the bishops and the priests of Aurora and Quezon are in full support of the farmers and fishers there who claim their ancestral lands had been grabbed from them by Angara's project---causing them to march all the way to Manila for two weeks, to protest their displacement. Indeed, Sen. Angara’s son, Rep. Sonny Angara, who was his father’s co-author on this project (House Bill 10293) that "little owed to economic feasibility" and who is now running for senator in the LP coalition, should be confronted by media on this burning issue; and he should answer it fully, if he is to get the people’s votes. By the way, some months back, Ateneo students as well as seminarians from San Jose Seminary at the Ateneo Loyola Campus had shepherded those farmers and fisher folk from Casiguran on their protest march vs. Apeco to Manila. Because President Noynoy is an Ateneo alumnus, some school bigwigs thought of arranging a dialogue with him for the farmers and fisherfolk about the Apeco project, so he could hear their allegations about how their ancestral lands were grabbed from them. But the dialogue with P-Noy held at San Jose Seminary turned out to be a monumental disaster, judging from the Facebook post of Fr. James Gascon, S.J., former head of Jesuit Communications and now with CEFAM. Talk in the campus afterwards was that Ateneo President Jett Villarin, S.J., texted P-Noy, who was his classmate at the Ateneo, and scolded him about the way he treated those Casiguran marchers. Why did Comelec still insist on buying those used PCOS machines when it surely must have been aware of the intense wrangling between Smartmatic and Dominion, the owner of the AES technology? Why did Comelec allow our country’s mid-term elections to be held hostage by the mutual suits between them? If you readers are rather fed up reading day in and day out about the shortcomings of Comelec for the mid-term elections, please stretch your patience a little longer---for neither are these imaginary or false. And how they are resolved or left unattended could affect the coming mid-term elections and therefore the stability of our democracy. Comelec Chair Sixto Brillantes has been lately commenting on everything about the coming elections, except to reassure us on the most vital issue---the credibility of the automated election system (AES). He has been issuing anti-epal warnings to candidates and dissecting do’s and don’t’s in campaigning (e.g., giving away lechon or pancit could constitute vote-buying), which are not bad. But what we citizens want him to concentrate on is to ensure that the May elections would be free and honest and our votes counted correctly---but he’s not doing enough to reassure us. In fact, every time he talks about the AES and makes light of missing features, the more disturbed and worried we citizens are. 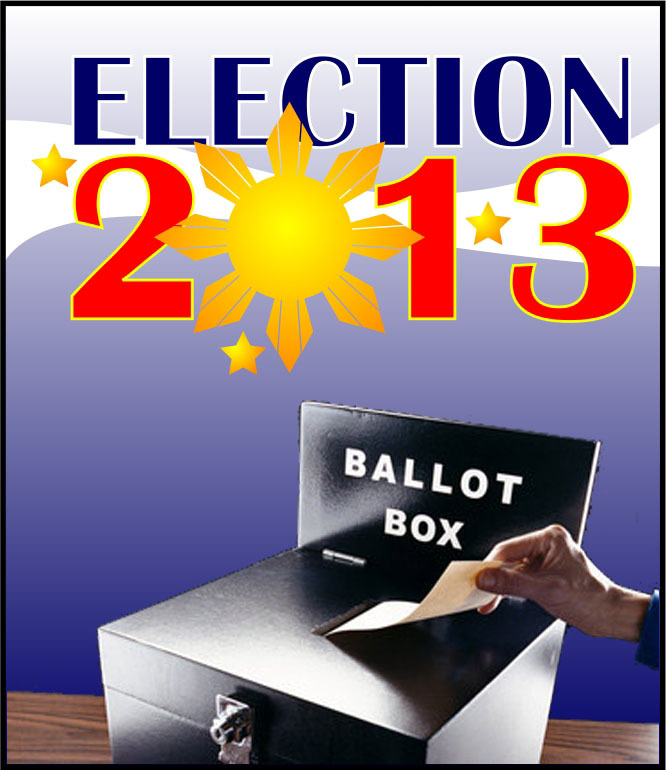 Last Feb. 12 Comelec jubilantly released the report of its Technical Evaluation Committee (TEC) certifying that the AES, “as submitted, with full adoption of the recommended compensating controls, can operate properly, securely and accurately be used (by all parties concerned) in the May 13, 2013 National and Local Elections.” The TEC also resolved that in compliance with requirements of the AES Law, RA 9369, the AES source code, as submitted and reviewed, should be kept in escrow with the Bangko Sentral ng Pilipinas. The problem is that both the approval by the TEC of the AES system for May and the “successful completion of a source code review” were based on the “Final Certification Test Report” of the Colorado-based SLI Global Solutions, Inc. (formerly Systest Labs, Inc.), the independent third-party agency tasked to conduct this review. But as Filipino IT experts have pointed out, the source code reviewed by SLI appears to be the 2011 PCOS code designed for the cancelled 2011 ARMM elections which were regional in nature. In fact the TEC approval report points out that even this old code is still not deposited in the BSP, as RA 9369 provides, but still held in escrow with SLI Global. There is still no source code for the 2013 elections---and this violates RA 9369 that decrees that this code should be opened for review 90 days before the elections. That deadline is way past already. The source code is a most vital component of the AES because it contains the human-readable instructions for how the PCOS machines will function on election day; but until now it’s missing in action, still caught in the crossfire of law suits between Dominion Voting Systems and Smartmatic, the supplier of the PCOS machines. At the last JCOC hearing on Feb. 6, before Congress adjourned, Brillantes, pressed by legislators and IT professionals critical of the multi-defect first mock elections, said he’s amenable to a second test run as a confidence-building measure. But now, with this questionable TEC review, he now says there’s no need for mock elections---and also shuts the door on manual voting which he had earlier left ajar. In that same ABS-CBN interview, however, Brillantes admitted something most interesting about the May 2010 elections---which may be the key to all the woes of the past elections and which unscrupulous elements may have quickly manipulated to get the results they wanted. The poll chief was quoted as saying, “Nu’ng 2010 walang nakakita ng source code, nobody knew what’s in the Central Bank source code.” But this was because, as Smartmatic pointed out in its incredibly frank lawsuit vs. Dominion, the latter failed to submit this source code to Smartmatic because they were apparently already quarrelling about certain aspects of the AES. This was why, despite the Supreme Court’s order for Smartmatic to produce this code for the IT experts’ examination, it couldn’t deliver---wala pala sa kanila. Flores pointed out that this relates to the nightmare problem subsequently encountered, “where the software provided by Dominion was producing inaccurate results of the testing and sealing ballots.” Flores said this discovery prompted Smartmatic “to redeploy a new set of CF cards with the correct configuration” all across this island nation, in the process spending “millions of dollars to save the automated elections in the Philippines.” He said his firm has been requesting Dominion to reimburse the costs incurred due to the defect in its technology. Actually that claimed re-deployment of new CF cards in the weekend before the May 10, 2010 elections could only have been token, as it was humanly impossible to change all of them in the 76,000 clustered precincts across our many islands and the remote areas. In March 2012, said RG Cruz’s article, Smartmatic presented Comelec’s requested enhancements and modifications to Dominion, but the latter notified Smartmatic that it would not complete those requests “unless Smartmatic further agreed to waive any and all claims it may have against Dominion.” Flores claimed that Dominion tried to keep his company “hostage” and force it to “waive our claims from the CF card rescue operation.” Smartmatic, he insisted, “could not allow this attempt by Dominion to hijack the elections in the Philippines.” Hence the suit vs. Dominion later, to which it responded with a counter-suit. What’s evident in all these claims is that everything went bad with the May 2010 elections, prompting various observers (among them the Star’s legal columnist, Atty. Jose Sison) to question its results, beginning with the election of the country’s top officials, and tie up this uncertainty to the stubborn insistence of Comelec now to patronize the same firm that botched up those 2010 elections. My question is, surely, Comelec must have known of the messy relations between Smartmatic, the owner of the PCOS machines, and Dominion, which is the technology owner. Why in the hell did Comelec still insist on buying those old defective PCOS machines, so that now the country’s elections are being held hostage between the two rival firms? Phil. Computer Society's Prexy Toti Casino says analyst Ramon Casiple is wrong about RMA having to do with AES "security.' Casino stresses that more than anything, security has to do with the digital signature. Italian magazine writer and Vatican watcher Sandro Magister asserts that after Benedict’s resignation, “youth will no longer be an obstacle to being elected pope.” Meaning, Cardinal Tagle could be it. Casiple was referring to the provision in the Poll Automation Law, RA 9369, which provides for running a manual audit of poll results in select precincts across the country, at least one clustered precinct per congressional district, in order to verify the accuracy of the automated count. PCS prexy Casino asserts that the security component to the automated election system (AES) that is required by law and imperative to implement--- but which is still being ignored or misconstrued---is the digital signature. He points out that “to this day Comelec opts to use the machine-embedded security key which is only a part, but not sufficient enough to authenticate or certify that transmitted data results from origin or source to the target destination are true and correct. (Sec. 19, 20 & 25 of RA 9369). Indeed IT experts nearly all insist that it’s the digital signature of the automated election machine that’s the key to security of the election results, because this signature is peculiar to the machine and to no other. But the problem is that in the 2010 elections the Comelec chose to discard this security requirement in the PCOS---thus opening the door to what appears to be large-scale fraud in the election results and putting the entire election results of 2010 in question. Alarmingly, to this day the poll body appears to again prepare to discard the digital signature. But here’s something else that’s screwy: last Tuesday afternoon a newspaper ran a report that Comelec Chair Sixto Brillantes had said that if he doesn't get the approval of the Joint Congressional Oversight Committee on the use of the "binary code" (i.e., instructions that are 'machine-readable' in lieu of the “human-readable” source code) Comelec would have no choice but to go manual voting in the May elections. It will be recalled that in various forums Brillantes has admitted that he hadn’t as yet obtained approval for use of the source code from its real owner, Dominion Voting Systems, which has a running legal battle with Smartmatic, the supplier of the PCOS machines. He said, however, that he continues to negotiate with Dominion. That assertion about a possible manual vote was made by Brillantes last Tuesday, and in fact this blogger commented that he has now willingly opened the door to manual, sans his bluff-threat of “if you critics don’t stop we’ll go manual” last week. But then, suddenly last Wednesday, a tweet by Brillantes said that SLI Global Solutions (formerly the Denver-based Systest Labsl) the third-party international firm that was supposed to review the source code, has already reviewed it---and favorably. As I noted, SLI had refused to conduct this review for a long time as Dominion had refused to give it the go-signal. But suddenly, overnight, there it was, and favorable daw. Could a review of the AES be an overnight job? My suspicion---shared by many---is that when Brillantes "opened the door" to manual voting and counting, a lot of influential people became nervous that the country could get the voting right in May. So there might have been a lot of arm-twisting, seemingly overnight (!) and voila---SLI suddenly gave its favorable review. Quite suddenly, also just a day earlier than the SLI go-signal on the source code, Brillantes also began saying “no to manual” again, saying there’s no more time for this option. This sudden posture, after earlier opening the door to manual, appeared to have been buttressed by the fact that the Comelec’s Technical Evaluation Committee (TEC) came out---also quite suddenly---to say that per its judgment everything's ok with the AES. Brillantes ecstatically says that with the TEC's favorable appraisal of the AES it's now all systems go for May, and---are you prepared for this?---no more need for another mock elections, despite the earlier first trial run that was studded with "glitches" major and minor. And guess what was the basis of the TEC’s sudden appraisal that the AES is ok? None other than SLI’s favorable review of the source code, which came out so suddenly! Hope you folks out there are not as confused as I am, for from this corner some things just don't sit well together. A regular reader of this blog, Ms. Araceli Lorayes, was so kind as to send me a copy of the most interesting and knowledgeable article by 70-year old Italian writer Sandro Magister from Rome, dated today and titled “Who Will Take Up the Keys of Peter” about the ramifications of a recent decision that shook the world,“without precedent in history”---the sudden resignation of Pope Benedict XVI. Veteran Vatican-watcher Magister, who writes for L'espresso magazine, took time to review the whole landscape of 117 cardinals who would be closeting themselves in the Sistine Chapel in the Vatican premises in the middle of March to elect Benedict’s successor. Magister reviewed possible candidates---the 'papabili'---going from one continent to another. “If from Latin America and Africa, where indeed the majority of the world's Catholics live, there do not seem to emerge prominent personalities capable of attracting votes, the same is not true of Asia. “On this continent, soon to become the new axis of the world, the Catholic Church also is wagering its future. 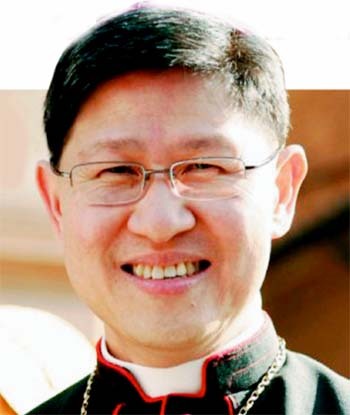 In the Philippines, which is the only nation in Asia where Catholics are in the majority, there shines a young and cultured cardinal, archbishop of Manila Luis Antonio Tagle, the focus of growing attention. “As a theologian and Church historian, Tagle was one of the authors of the monumental history of Vatican Council II published by the progressive ‘school of Bologna.’ But as a pastor, he has demonstrated a balance of vision and a doctrinal correctness that Benedict XVI himself has highly appreciated. Especially striking is the style with which the bishop acts, living simply and mingling among the humblest people, with a great passion for mission and for charity. Mukha ba talagang may pag-asa si Cardinal Tagle? Let’s stop this charade about PCOS machines. Brillantes admits for first time--sans bluff-- that manual vote is an option. The JCOC should order Comelec to go manual as the people have lost total faith in the PCOS. Pia Cayetano files bill to repeal Art. 133 of Revised Penal Code, seeking to make restraint in hurtful language in still-sacred places look “antiquated.” Part of the “new normal." Comelec Chair Sixto Brillantes asserted today in a news report that the poll body will “try to convince” the Joint Congressional Oversight Committee (JCOC) on the Automated Election System (AES) to allow it to review the ‘binary code’ or the software on binaries instead.” Brillantes was reported to have said this following refusal of Dominion Voting Systems, the real owner of the AES technology, to allow Smartmatic to review the source code for the ballot-scanning and vote-counting machines in the May elections. According to the news report, the source code is a “human-readable representation of instructions that regulate the operation of a computer,” whereas the binary code is composed of “machine-readable” instructions. Brillantes says he needs the go-signal of JCOC to allow the poll body to review the binary code or the software on binaries instead. But source code or binary code, it’s THE SAME BANANA. As our IT experts assert collectively, several thousands of the 81,200 used PCOS machines (bought and paid for by us taxpayers for P1.8 billion) had to be discarded as irreparable, while many other thousands are in bad need of repair and there’s no telling whether they can still work. Moreover, whatever instructions Comelec puts into these machines, THE PEOPLE WOULD NO LONGER BELIEVE THEIR RESULTS. Let’s all appeal to our fellow countrymen: let’s stop this charade or stupidity about the PCOS machines. After all, as Brillantes says, the dispute between Dominion and Smartmatic may force the Comelec to return to manual counting of votes this May. This is the first HONEST statement he has made. LET'S GO MANUAL THEN. Then let’s tell our senators and representatives that WE’RE ORDERING THEM TO, in turn, ORDER COMELEC TO GO MANUAL. At this point there is no way out except manual. 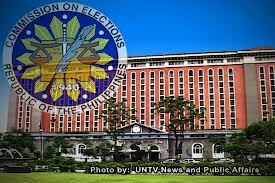 For weeks and weeks we’ve all discussed and dissected the PCOS machines’ lack of merit and Comelec’s ill-preparedness to conduct an AES for May. Now it's admitting for the first time, sans bluff, that it could go manual---pwede pala, if Congress would allow it. 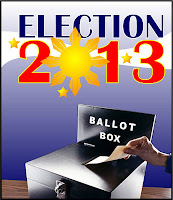 Let’s tell Congress---GO MANUAL---and then let’s all work together---Comelec, the IT experts, Namfrel and other citizen watchdogs, the churches, civic organizations, the teachers and the various political parties and groups---to make sure the May elections are clean, reliable and truly reflective of the people’s choice. As the Senate wound up the Third Session of the 15th Congress last week Sen. Pia Cayetano filed Senate Bill No. 3402, titled “An Act Repealing for this Purpose Art. 133 of Act. No. 3815, As Amended, Otherwise Known as the Revised Penal Code.” Her bill was obviously in support of activist Carlos Celdran, who was recently sentenced by a lower court to a prison term after it found him guilty of violating Art. 133 of the Revised Penal Code (RPC). As Sen. Cayetano explained in her bill, Art. 133 “has the effect of a law which retrains these protected guarantees,” namely, the freedom of speech and of expression that, she argues, are enshrined and protected under the 1987 Constitution. Citing Art. III, Sec. 4 of the Constitution, i.e., “(n)o law shall be passed abridging the freedom of speech (and) expression,” she further argued that the RPC was enacted on January 1, 1932, more than 50 years before the 1987 Constitution. Thus, she stressed, there is a need “to revisit antiquated criminal laws such as Art. 133, to strike a balance” with the constitutionally guaranteed freedoms of speech and expression. “Senate Bill 3402 of the 15th Congress is harmful to the common good and the public welfare, and in fact, is socially dangerous. “Granted that freedom of expression is a human right enshrined in the Constitution and protected by law, this right has limits set by other rights, in the interest of the common good and the public welfare. “For freedom of expression to be beneficial to the common good, the manner and setting of its exercise should be appropriate. The criterion for its appropriateness is the purpose of freedom of expression, which is making available to the body politic all relevant information for the citizenry to decide which views of social reality are the most correct or accurate, and which policies, laws, and measures best promote the common good, or are the least harmful. “The purpose of the freedom of expression is not expression for the sake of expression---that is why this freedom has limits such as those set by the penalization of libel, slander and defamation, in most jurisdictions. The law (ethics too, and common sense) does not suppose that anyone can just say anything in public. Allowing anyone to say just anything, no matter how untrue or harmful, will coarsen the social discussion or debate and will abet verbal and eventually physical violence, as it were, generating "more heat than light," and unnecessary social acrimony rather than the reasoning together that’s best for the common good and essential for authentic democracy. “It is important to note that the Cayetano bill, in effect, authorizes hurtful language and gesture "in a place devoted to religious worship or during the celebration of any religious ceremony." * (b) religion endows deep meaning to the lives of believers, and an attack on religion attacks the very reason for being and the deep meaning of the lives of believers; and so when religion is attacked the offense tends to be more deeply felt.